Long the province of international law, human rights now enjoys a renaissance of studies and new perspectives from the social sciences. This landmark book is the first to synthesize and comprehensively evaluate this body of work. 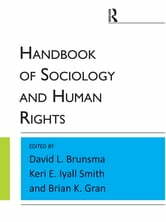 It fosters an interdisciplinary, international, and critical engagement both in the social study of human rights and the establishment of a human rights approach throughout the field of sociology. Sociological perspectives bring new questions to the interdisciplinary study of human rights, as amply illustrated in this book. 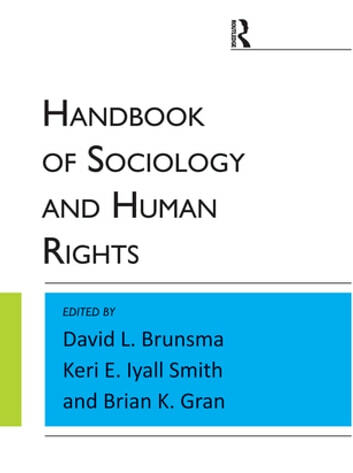 The Handbook is indispensable to any interdisciplinary collection on human rights or on sociology. This text: Brings new perspectives to the study of human rights in an interdisciplinary fashion. Offers state-of-the-art summaries, critical discussions of established human rights paradigms, and a host of new insights and further research directions. Fosters a comprehensive human rights approach to sociology, topically representing all 45 sections of the American Sociological Association.